Following the 11th edition of the Valentin Zolotarev Memorial Tournament the next competition was held in Uzbekistan. 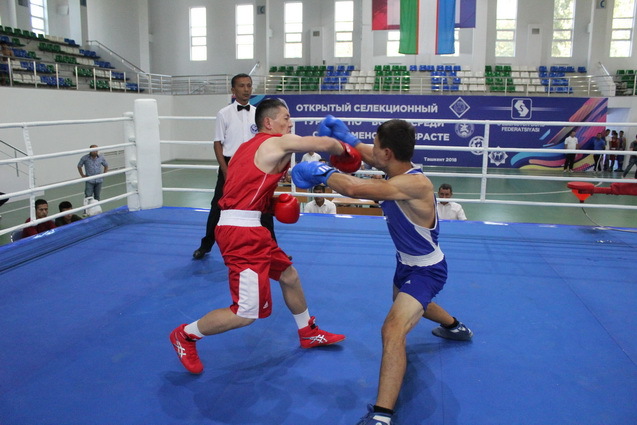 Uzbekistan Boxing Federation hosted its U21 National Selection Tournament in the Universal Sport Complex in Tashkent where eight champions have been crowned. Eight weight classes were held in the Uzbekistan U21 National Selection Tournament which could be the new divisions in the men’s elite level in the future. The Uzbekistan U21 National Selection Tournament was held in the 52kg, 57kg, 63kg, 69kg, 75kg, 81kg, 91kg and +91kg weight classes in Tashkent. 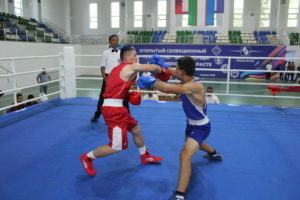 Altogether 41 bouts were held in the Uzbekistan U21 National Selection Tournament where boxers who were born between 1997 and 1999 were eligible to take part in the event. The competition was attended by Uzbekistan Boxing Federation’s coaches and R&Js while the boxers received medals and cash prizes after the finals. Akobir Rakhmonkulov claimed bronze medal in the 2016 Uzbekistan Elite National Championships at the light flyweight (49kg) and moved up to the flyweight (52kg) to win the title of the U21 National Selection Tournament. The 21-year-old boxer became the first champion of the event after beating Sanjar Pulatov in the final. Lazizbek Begmatov is a new face at the bantamweight (57kg) but his skills were enough to beat Ilkhomjon Kholmirzayev in the final of the U21 National Selection Tournament. Sanat Kakhramonov won the third title of the national event after beating Oybek Tojimatov in the final of the new light welterweight (63kg). Adizjon Rakhmonov is also a new boxer at the welterweight (69kg) but he shined against Diyor Raimkulov in the final. Akobir Mavlonov moved up to the middleweight (75kg) and his powerful punches stopped Shakhzod Norkulov in the final of the event. The next titles were achieved by Arabboy Sheraliyev (81kg) and Jakhongir Mirzokhodjiyev (91kg). Ibrokhim Normatov claimed bronze medals in the 2017 Komsomolsk-na-Amure International Youth Tournament and in the 2017 Uzbek Youth National Championships. The 19-year-old talent joined to the elite age group this January and following his participation in the Fayruzov Memorial Tournament in Ufa he won the U21 National Selection Tournament after beating Dilshodbek Muminov at the super heavyweight (+91kg).